With over 5 years in business, and many years of prior professional experience, our locksmiths provide business security measures that are effective in protecting your company. My Local Locksmith can handle all of your commercial security needs, from minor repairs to a complete overhaul and upgrade of your security system. Our expert technicians are responsive, professional, prompt and courteous. We carry a full line of commercial security products from the industry’s leading manufacturers, to help protect your business. Our customers praise us for delivering a rapid response and going above and beyond to get you taken care of. When we rekey your lock, we change the mechanical locking mechanism to make sure that old keys will no longer to open your locks. Then we reset your locks to open with a completely new key. During a rekey, no hardware has to be replaced, since the only internal component of the lock we change are the ones that reject or accept the keys. If you are in need of a cost-effective way to update your keys for your rental or business properties, give us a call. We can help you determine exactly what you need to improve your business’s security. If you own residential and commercial properties, then managing entry and access into specific buildings, locations and areas within the building can be vital to your security. My Local Locksmith can install a state of the art access control system to monitor who can access your premises which will help with securing the assets of your business and give your employees a safe place to work. An access control system is simply a security system that lets you place security restrictions on who can enter specific areas of your home or commercial property. If you’re considering access control for your business and want integrated systems that are reliable, effective, and user friendly, give us as call. You will be able to speak with an expert technician with experience in access control installation. Or, if a tech is not immediately available, you can speak to a friendly member of our office staff for more information about access control installation. 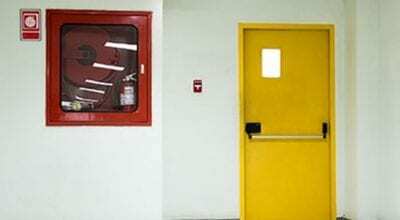 If you own or manage a commercial building, — whether it’s an office building, medical center, or university– then you have a responsibility to ensure people can exit the building as quickly as possible in an emergency situation. My Local Locksmith is the leading panic bar installation and repair provider in the area. Our technicians and commercial locksmiths specialize in pushbar installation & repair. These are simply doors that are activated by pushing a bar. Known as “push bars” or “panic bars,” they can protect the safety of your customers and employees. In fact, in many locales, OSHA federal regulations as well as state and local building codes require that commercial buildings above a given occupancy install crash bars for unrestricted safety exits. To learn more, speak to a technician today. If you’re looking for business lock installation, you’re in luck because My Local Locksmith — a leading Arlington business locksmith with more than 100 five star reviews on Yelp and Google — specializes in business lock install & repair. We can handle all of your locksmith needs in Arlington, Texas and Arlington’s surrounding municipalities. When you need commercial locksmith services we can help you determine what type of lock would best meet your needs. 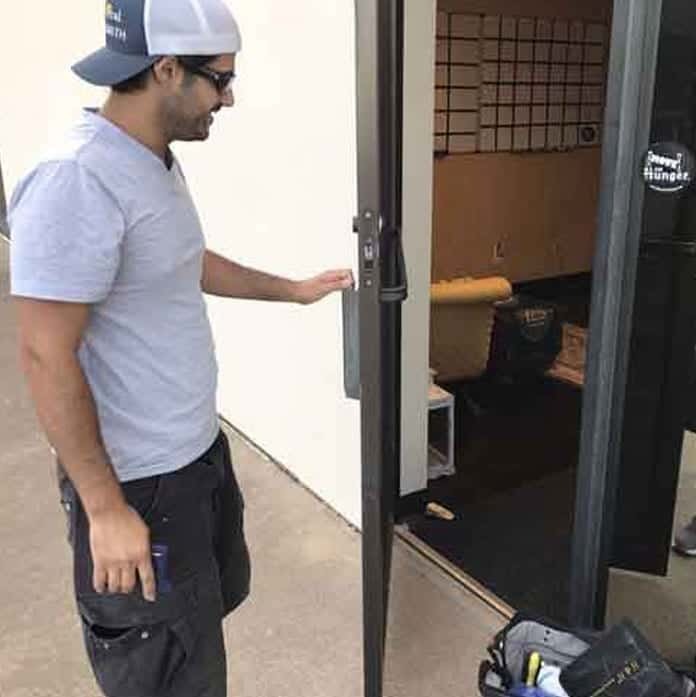 Our goal is to save our customers the time and hassle lock installation usually requires by delivering fast and efficient service when performing a business lock installation. All of our employees are carefully chosen and undergo a thorough state and federal background check. My Local Locksmith technicians are fully licensed, bonded, and insured ( lic# B01076601). We follow all state and federal regulations.